Being secure with yourself and loving everything about you is such an important thing to do. 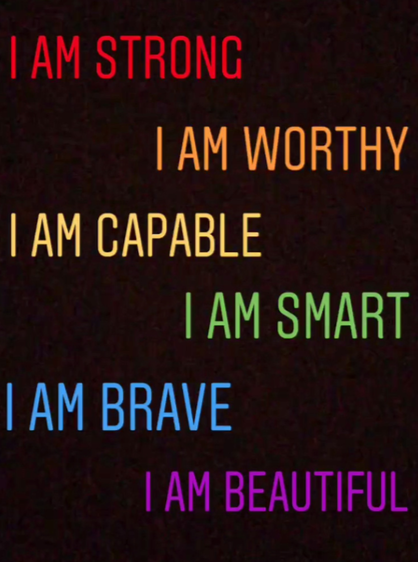 Knowing your self worth and understanding that you are capable of almost anything is what you need to remind yourself everyday. Feeling insecure about yourself can really hold you back from all you can achieve in life. Although it can be hard, you need to gain the confidence that you can do whatever it is that you don’t believe you can. Whether it is going out of your comfort zone, to wearing an outfit you’ve always wanted to wear or even being able to talk to someone you have been too nervous to before. No matter where you are in your life, there is always time to work on yourself to become the best version of yourself possible. It takes time and dedication but the outcome is worth the happier life. Visualize yourself doing what you are scared to do. If it makes you feel happy and you feel like yourself, then go out and make that a reality. 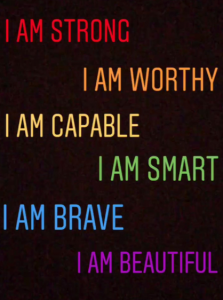 Constantly tell yourself everyday that you are worthy, you are perfect, and you are capable of anything. Giving yourself affirmation is a way to build your self-confidence; if you say it enough you will soon believe it. Treating yourself well is another way to build up your self-love. Eating healthy foods, exercising, and creating a positive mind can allow your mind to grow and become a happier version of yourself. Doing what makes you happy is the most important thing, never settle for less. You can have the self-love and confidence to go out and make it happen for yourself. North Korea: A Welcome Presence? Or an Unwanted Guest?